Knowing about your products, how they're named and evaluated, and the customers buying them will help you sell more of your own farm fresh eggs. The word is out on factory farming and conventional egg production, and most well-informed shoppers want more information about the eggs they buy. People are eating animal products today with more care and concern for the animals that produced those products. Today’s rapid spread of information has led to a culture of concerned consumers, and they carry buzzwords with them as they shop: Organic! Pastured! Free-range! They also know that a healthy animal means a healthy product for their families. Nowhere is this new culture more apparent than when it comes to purchasing eggs. As you begin to market your eggs, build a customer base and profit from your sales, it’s important to keep up with the subtle shifts in labels and what they truly mean. It will also be important to spend time getting to know your consumers; the relationships you build with them will be your business’s backbone. Be prepared for enthusiastic and newly informed shoppers to storm your booth with a litany of buzzwords: Are your eggs organic? Are they from pastured hens? Do your birds free-range? While you might be inclined to answer yes if it seems to apply, it’s important to know that these terms have very specific meanings, some of which are government-regulated and are not interchangeable. Organic is a certification given to a wide variety of foods by the USDA. It can be applied to eggs and meat products, as well as fruits, vegetables and grains. The regulations for organic animal products are different than for crops. As applied to the production of eggs, organic certification means that the laying hens were fed a USDA certified-organic diet, in turn making the eggs organic. 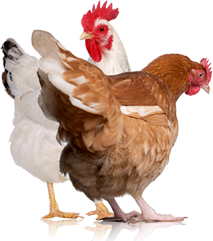 The certification process also regulates the frequency and types of medication laying hens might be given, including antibiotics. As an egg label, “organic” doesn’t regulate the quality of the chicken’s life; it only refers to the end product, the egg itself. Cage-free is simply that: The birds that laid these eggs were not confined to cages. However, it doesn’t specify their standards for quality of life, access to the outdoors or the quality of food and drugs administered. Unfortunately, most commercial cage-free hens live in large flocks of thousands of birds and never see the outdoors. Free-range and pastured (or pasture-raised) are often used interchangeably, though they have very different meanings. According to the USDA, free-range means that the birds were able to move about freely and were not confined to cages; the rules state that the birds must have access to the outdoors, but there are no space requirements. What free-ranging looks like in practice is that many thousands of birds are tightly packed into a large warehouse and have access to the outdoors through a single, chicken-sized pop door. 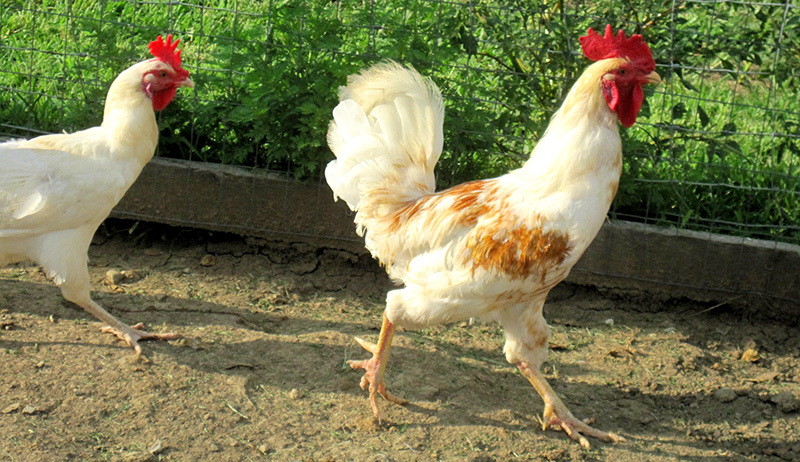 So in factory-farming practices, free-range is not all that different from cage-free. Pastured, or pasture-raised, on the other hand, means the birds were raised on grass and had access to the natural world, implying they were able to forage on grass, weeds, seeds and bugs, a scene we all hope is the genesis of our eggs. It’s important to note that all of these terms, according to the USDA regulations for large egg-producers and factory farms, still allow beak cutting and starvation-based forced molting, a process where birds are prompted to molt rapidly so they can return to egg production as quickly as possible. To further complicate — but improve — matters of health and wellbeing for chickens, the Humane Farm Animal Care’s Certified Humane standard has recently been revised to update these terms and provide minimal space requirements for companies claiming their eggs fall under these terms. These requirements are much closer to the standards that you, as a small egg-producer and -seller, would apply to your own product. Visit the organization’s website for details on its definitions of egg labels. As a small-scale producer, you must be able to differentiate between these terms, even if it makes your head spin at first, so you can better inform your customers and let them know exactly where your flock falls on the spectrum. Customers will want to know about your practices: How many hours per day do your birds spend on grass? How does winter and summer grazing differ? What is the quality of supplemental feed they are given? These are all the questions underlying the labels and are the questions the labels are trying to answer. Your customers will have the benefit of being able to meet you and speak with you face-to-face. As a consumer, this is an honor! Selling eggs on a small scale is all about connection: connecting to your community, to the other farmers in your region and with your customers, and learning what is important to them. By and large, many customers prefer a quality product they can feel good about and that tastes wonderful over a product that looks good and has flashy packaging. If your enterprise isn’t quite as large as a working farm, your customer base might be smaller. Come up with a name for your eggs or egg business, and advertise through your social circle. Post to social media, and be sure to use hashtags to attract those searching. Some good ones include #localfood, #fresheggs, #farmfresh and any that indicate your town or region. Advertise through flyers on bulletin boards at areas of worship, your place of employment and even your children’s school. Beryl Lynn Frohriep of Wild Roots Homestead in Marshall, North Carolina, is the mother of Everett, an excited 5-year-old venturing into egg sales. While he might only keep 10 hens, Everett and his mother made a YouTube video looking for one special customer to provide with eggs. 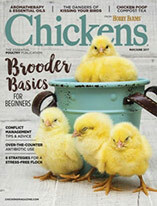 In it, he explains what his chickens are fed, and you get a glimpse into the family’s life with chickens. The video was shared on social media, as well as circulated among their friends, and didn’t cost the family anything in advertising. 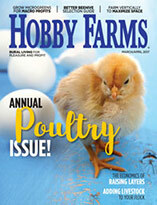 Get to know other chicken farmers in the area and learn about their practices and techniques. While it might seem counterintuitive to cozy up to the competition, good relationships with other egg farmers is going to be critical for success: They’re an invaluable resource, a reliable recommendation and sometimes can even become good friends. How you grade, size and package your eggs for sale will largely be regulated by your individual state. Some states require the completion of an egg handler’s registration, such as California, which also includes a $75 fee. Additionally, some states will require producers to complete applications in order to sell eggs at market. Most states require that the eggs come from hens in your direct care, and large-scale flocks — more than 3,000 hens — are usually subject to the egg safety rules of the USDA. But chances are, you aren’t keeping flocks of that size and your hens are in your direct daily care. So, in most cases, grading, sizing and packaging is relatively simple. Grading is not relative to size, but instead refers to the aesthetic quality of the egg, internally and externally. It also does not reflect the nutritional quality of the egg. The exterior grading process looks at the shell and shape of the egg: Is it smooth or cracked? Does it contain calcium deposits or other abnormalities? Is it the typical egg shape, or is it longer, more rounded or pointed? On a smaller scale, some customers will not mind these small imperfections. Grade AA eggs have whites that are thick and firm; yolks that are high, round and practically free from defects; and clean, unbroken shells. Grade AA and Grade A eggs are best for frying and poaching where appearance is important. Grade A eggs have characteristics of Grade AA eggs except that the whites are “reasonably” firm. This is the quality most often sold in stores. Grade B eggs have whites that might be thinner and yolks that might be wider and flatter than eggs of higher grades. The shells must be unbroken but might show slight stains. This quality is seldom found in retail stores because they’re usually used to make liquid, frozen and dried egg products. Sizing Yep, you guessed it: This refers to the size of the egg. You’re probably quite familiar with jumbo and extra-large eggs, but there are also large, medium, small and peewee egg classifications. Interestingly, eggs are not sized by individuals, but rather by the total carton weight of a full dozen. This is good news for the small-scale egg producer: It means you can easily keep a variety of birds, from peewee-producing bantams to jumbo-laying Leghorns, and still sell all of the eggs together under the combined weight. Be sure to look up the full weight in ounces per dozen of each size egg before labeling. See “Sizing Them Up” on page 47 for a listing. Darsey Driver, of Wildwood Herbal Plants and Produce farm in Weaverville, North Carolina, is known for her “dirty eggs.” The farm specializes in vegetable and herb starts and has a growing CSA program, where their eggs have seen a head start in sales. “People buy our eggs because they’re dirty,” she says. “I have people come up to tell me that these unwashed eggs are exactly what they’ve been looking for.” Along with co-owner and operator, Seth Salmon, the two have created a seamless system for their egg sales: full dozen unwashed eggs are sold primarily through their CSA program, where they accompany herbs and vegetables and are delivered to their customers each week. Any remaining eggs go to market with the couple each week for additional sales. At first glance, marketing and selling dirty eggs seems like a way to lose customers, not gain them. But Driver and Salmon have been smart about the way they sell their eggs. They make sure all of their customers know to wash them before consuming. They educate their buyers on where their eggs come from. Many of their customers are in fact already quite well-educated when it comes to food safety, which is why they choose the dirty eggs. They know the eggs have not been washed and stripped of their protective bloom, and that these eggs will keep more than twice as long as washed ones. For these customers, it’s an insurance policy; these eggs have not been adulterated in any way and are truly as fresh as it gets. The most wonderful thing about selling eggs on a small scale is that your customers care as much about your chickens as you do. As a local egg shopper before keeping chickens myself, I mourned with my farmers when they shared their losses; I got excited with them when they started keeping new breeds of chickens or experienced long-hoped-for successes. Their birds were part of my family by proxy because they were feeding me and mine. Though the questions and regulations might at times feel tedious, know that you are playing a vital role by sharing your hens’ bounty and feeding your community.